How's your week so far? Mine is getting lamer and lamer. I got a temperature right now. Everyone I know is getting sick but this is my second time during this freak weather we are having. I usually don't get sick but my doctor just advised me to get some bed rest. Like I don't have enough of that. I'm hoping my temperature lowers down today. 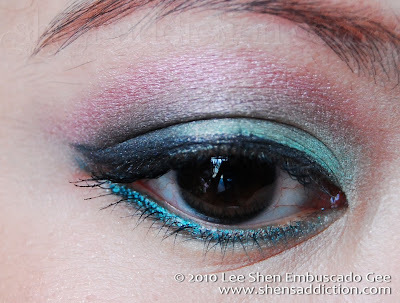 Here is my eye of the day last week. I love how this looks so fun for a night out but quirky enough for a daytime wear. Blame it on me, I love colorful eye of the days. 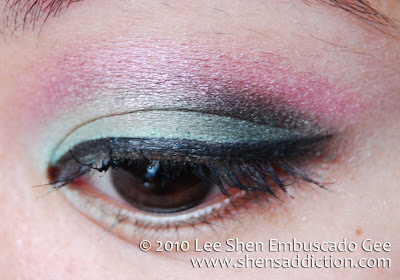 I got inspired of this combo from a Sephora e-mail. But I knew I couldn't pull off just the two-toned eyeshadow because I barely have a crease. 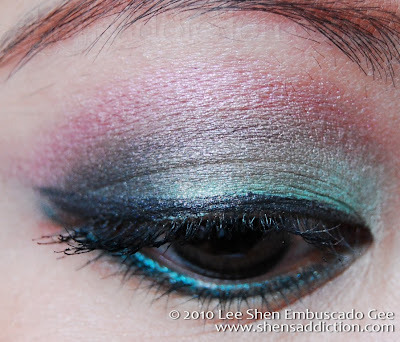 I knew a shadow crease would compliment the look. So I darkened my crease with the black eyeshadow from the 42 Shimmer Palette that really really reminded me of MAC Carbon. 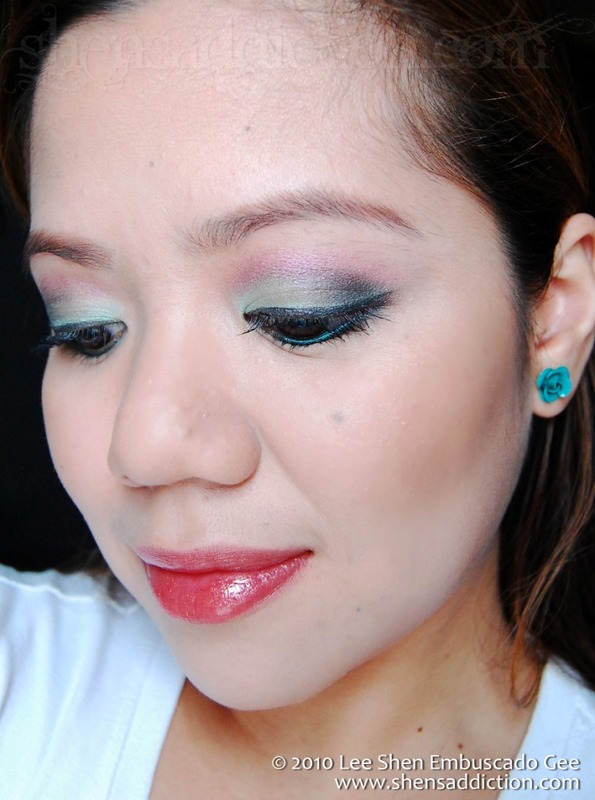 Just a dip is enough to get a good amount of eyeshadow! As for the whole look, I'll tell you about it soon.